The full-size 2017 Ford F-150 is continuing its reign as the best-selling truck in America. In fact, The Ford Motor Company recently announced that it has sold more than 26 million F-Series trucks since the model line came out in 1977. The F-series has also been the best-selling vehicle of any kind in America for 35 years. 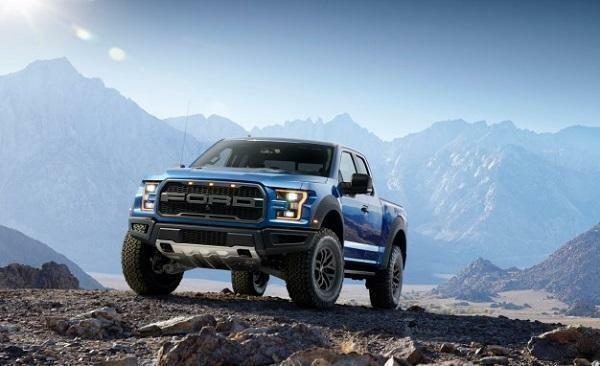 Today's pickup trucks are the brute-strength equivalents of yesterday's heavy-duty pickups, and the Ford F-150 has continued to be a dominant force in this market. Despite competition from other well-known brands like the Toyota Tundra, the Ford F-150 has continued to be the King of the Road. Despite both models both being two of the top selling truck models, Ford has continued to tweak the Ford-F150 line over the last few years to offer a much larger variety of options than that of its competitor. While the Toyota Tundra is only available in six trim levels, the all new Ford F-150 expands this option to seven unique models. Whether you choose the XL, XLT, Limited, Lariat, Raptor, King Ranch or Platinum model of Ford F-150 you can rest assured that you are purchasing the full-size pickup that U.S. News & World Report ranks at the top of its class. Boasting an impressive power-to-weight ratio and performance capability across the entire engine lineup, the Ford F-150 is powered by a normally aspirated 3.5L V-6, which is capable of producing a very capable 282HP and 253 lb.-ft. of torque. The next in the lineup is another V-6, that delves into the realms of EcoBoost technology with a turbocharged unit, which is capable of developing an impressive 325HP and 375 lb.-ft. of torque. Not having a V-8 in the F-150 range may still be a step too far for some buyers, so Ford doesn't let anyone down as the third engine is the familiar 5.0L V-8 putting out 385HP and 387 lb.-ft. of torque. Perhaps the best is saved for last, which is the new, second-generation 3.5L EcoBoost twin-turbo V-6 that now gets you 375HP and a very healthy 470 lb.-ft. of torque. This is pretty impressive when you size it up to something like the 2017 Toyota Tundra, which only offers two engine options with limited power. Any hard-working truck owner not only needs power, but should also be in the market for durability. Built with high-strength, military-grade, aluminum alloy as well as high-strength steel, the Ford F-150 has continued to reduce weight all while increasing strength. Unlike many of its competitors, including the 2017 Toyota Tundra, the Ford F-150 has also been subjected to over 10 million miles of cumulative torture-testing to earn its Built Ford Tough badge. With the more impressive results that have continued to be delivered, why would you look for anything else? The Ford F-150 also has powerful towing capacity. While both this powerful truck and its competitor are able to tow similar weight capacities, the 2017 Ford F-150 offers added towing features that make this job an easy one. Features such as the Pro Trailer Backup Assist system, which allows you to control the direction of your trailer with a simple dashboard mounted knob, as well as dynamic hitch assist, Smart Trailer Tow Connector, and trailer brake controller (TBC), which helps synchronize truck and trailer brakes. Available BLIS® (Blind Spot Information System) with cross-traffic alert and trailer coverage helps when you’re towing a trailer. 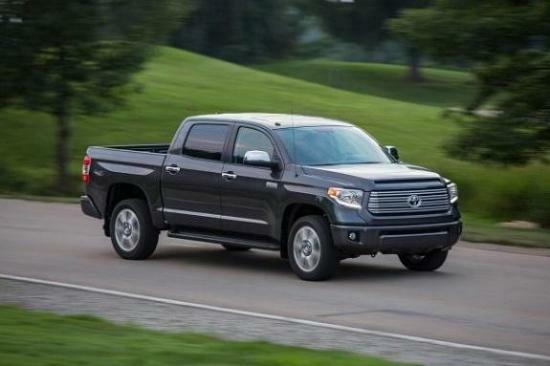 Although the 2017 Tundra has a backup camera so that you can keep an eye on what your towing this doesn’t allow the driver to control the direction of your trailer. Other than towing safety, what other security options are available on the 2017 Ford F-150? Every 2107 Ford F-150 starts with a large collection of standard safety features like automatic crash notifications, full-length side curtain airbags, stability and traction control and antilock brakes. As you move up the trim ladder features like sensor and camera systems, lane departure warnings, rear cross-traffic alerts, blind-spot monitoring, forward collision warnings with brake priming, adaptive cruise control and rear-parking parking sensors. Each Ford F-150 also offers the Ford MyKey system, which allows drivers to set limitations on teenage drivers. What is the best part about the safety of the 2017 Ford F-150? The IIHS awarded the truck the highest possible score of “Good” in all of the organization’s safety tests. Any automotive owner is sure to be on the lookout for technology features as well. Along with Driver-Assist Technology that helps the driver respond to a variety of driving situations, the Ford F-150 includes an 8-inch LCD productivity screen, which provides useful information from fuel economy to towing data right in front of you on the instrument cluster. The driver can even create a customized home screen using six menu options—My View, Trip/Fuel, Truck Info, Towing, Off-Road and Settings—and access your most frequently used screens in one place. Along with ability to sync your smartphone as well as Ford’s convenient available Remote Tailgate Release, this clearly one of the smartest trucks available. Are you tired of reading and would prefer testing the powerful 2017 Ford F-150 yourself? Wait no longer, get out and visit your Southern California Ford Dealer today!